Lori took me for a surprise 2-day vacation for my birthday last month. We didn’t go too far; just far enough to get away. First stop was lunch at Pascaline in Sebastopol. This is a small restaurant located on Highway 116, a few miles northwest of Sebastopol. French in style, with some nice looking pastries (which we somehow avoided trying). For lunch, we split a tuna sandwich (good, but nothing special) and their “Farro-Sotto”. This was farro done in the style of risotto, with mushrooms and chicken and greens. Simply delicious. We’re going to have to try to replicate this at home when the kitchen remodel is done. Next up was spending the afternoon at the Osmosis Spa in Occidental. We did the cedar enzyme bath, then 90 minute massages, then spent some time in the meditation garden. One of the best spa experiences I’ve ever had. Then the Inn at Occidental, a largish B&B in Occidental. After checking in and having a glass of wine, we walked down the hill to dinner at Hazel. It doesn’t look like much from the outside, and the inside, while nice, isn’t overly done up. Just comfortable. We first shared their grilled pita appetizer, which came with tzatziki, feta, olives, roasted red peppers and Marcona almonds. The tzatziki was made fresh kefir cheese/yogurt, and was amazingly delicious. Next up was sharing the lamb meatballs, served in a tomato sauce. Again, delicious. Last up was a pizza, cooked in their wood fired oven, with garlic sausage and two sunnyside up eggs. Breakfast for dinner, sort of. Again, just delicious. 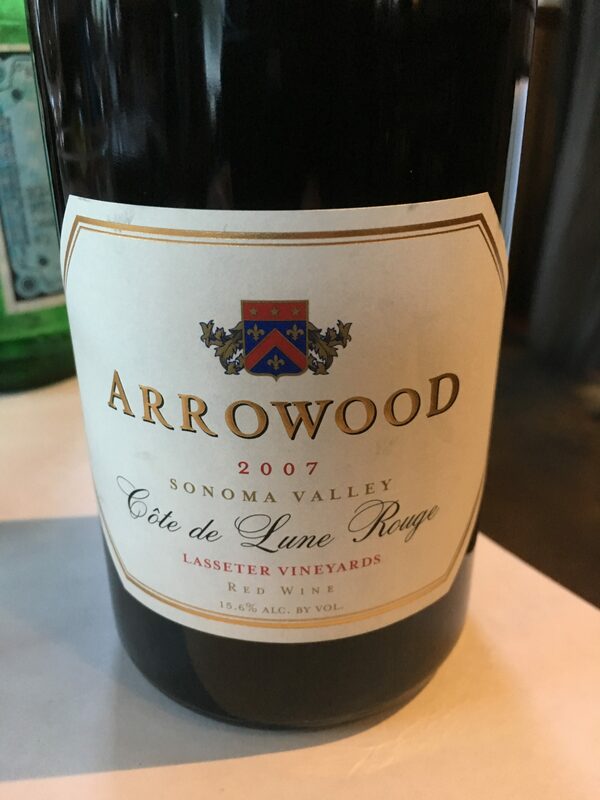 We paired the meal with a bottle we brought, a gift from friends, an Arrowood 2007 Côte de Lune Rouge, Lasseter Vineyards, Sonoma Valley, which is a GSM (Grenache, Syrah, Mourvèdre) blend. By the way, Thursday nights at Hazel there is no corkage fee for bottles from Sonoma County. This meal was one of our most memorable in the last few years, with food, wine, service (excellent!) and occasion all coming together, and yet it was just over $50 before tip. 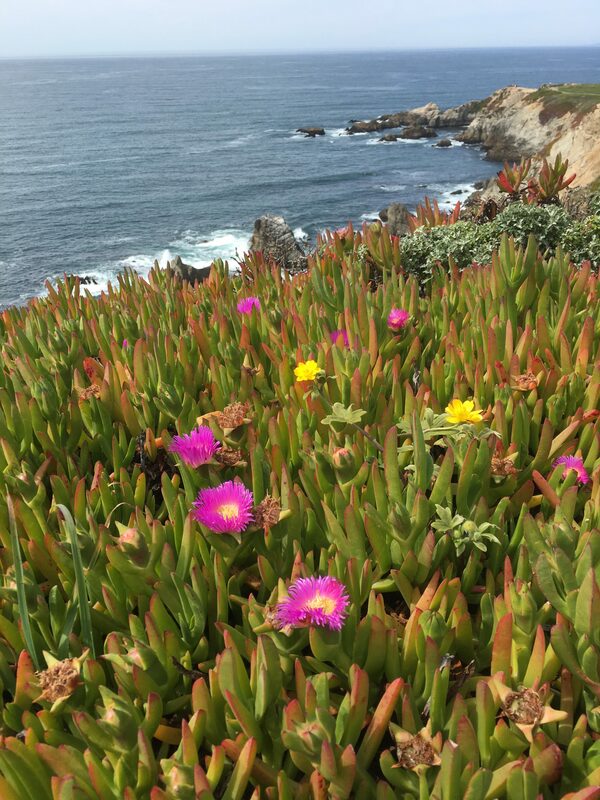 The next day, after a nice night’s sleep and a very nice breakfast at the Inn at Occidental, we headed out to the Bodega headlands to wander around, watch for whales and check out the Spring flowers. Success on all counts: saw whales spouting a few hundred yards off shore, and the flowers were beautiful. Interesting to note that the California poppies, which are a bright orange further inland, were bright yellow at the coast. Soil, sunlight, wind, cold, humidity or maybe just a natural mutation of the flower. Last on the list for Lori and I was a stop at Marimar Estate for a tasting. They do a very nice sit down tasting, and the weather was warm enough for us to enjoy the patio. 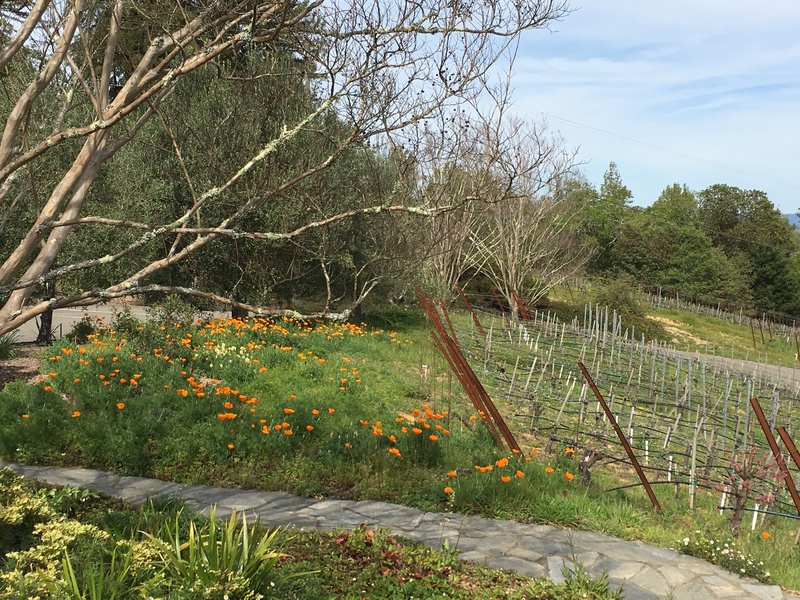 Marimar does mostly Chardonnay and Pinot Noir, appropriate given their location in the Russian River Valley, but they also do some Spanish varietals including Albariño and Tempranillo. Great job by Mary leading the tasting, and we really enjoyed the wines and the views from the patio. 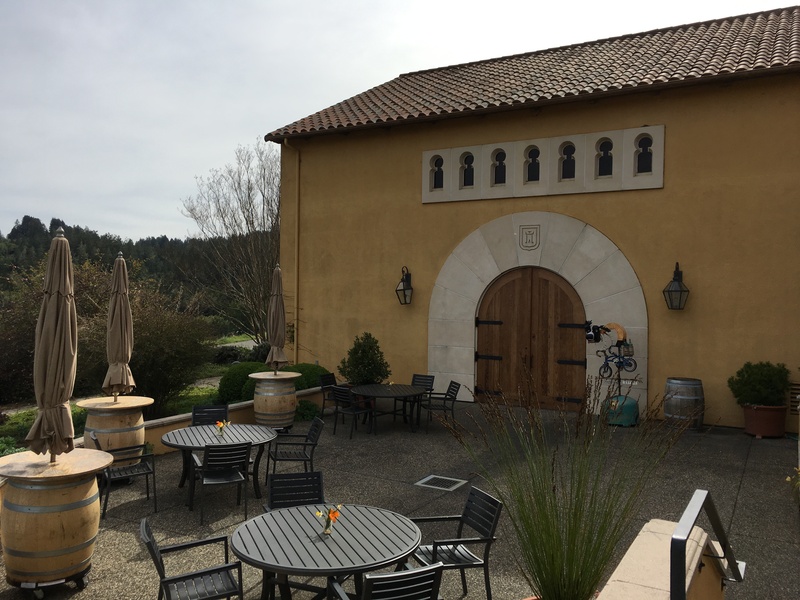 This entry was posted in wine travels and tagged Arrowood, Hazel, Inn at Occidental, Marimar Estate, Osmosis Spa, Russian River Valley, Sonoma County on April 9, 2018 by vvblogman.